A wide variety of properties for rent in Juffair is available for all users on Weetas website. Juffair is a central area that lies south Bahrain’s capital Al Manama. It is in a close proximity to Sheikh Khalifa bin Salman Causeway which leads to Muharraq Governorate, it has direct access also to Sheikh bin Salman Highway which connects it with other areas around Bahrain. Juffair now has a bustling construction activity, especially in its sea reclaimed areas. It’s one of the freehold areas distinguished with featuring high-rise apartment buildings boasting modern architecture. Buildings in Juffair combine between residential and retail spaces, they also offer a wide set of amenities to their residents including swimming pools, saunas, fitness gyms, steam baths, spas, and many other. Quite splendid scenes of the sea and Bahrain skyline can be evident from many apartments for rent in Juffair. 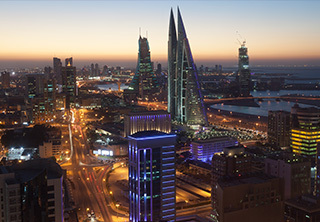 When it comes to entertainment, Juffair is the top destination for Bahrain residents and visitors thanks to its significant recreational destinations. The district has a lot of fancy cafes and restaurants, large shopping malls like Juffair Malls, and a wide variety of hotels ranging in quality. Juffair is Bahrain’s heart that throbs with entertainment and leisure. Renting a commercial or residential property in Juffair is absolutely a right decision to make since it boasts multiple advantages unmatched by any other location. Juffair offers a wide set of properties for rent including apartments, villas, studios, retail spaces, showrooms, and other. They range in price and size to offer a big variety of options in order to suit all requirements. Juffair would seem a perfect choice for any investor or entrepreneur willing to start a business in Bahrain like restaurant, cafe, or any other entertainment service. It’s also one of the most favorable residential districts for foreign expats who look for well suited and well-equipped apartments with easy access to amenities. Large families also find Juffair villas very convenient since they offer total privacy and large ambience to meet their demands. Juffair is the home for many high rise mixed-use buildings like Juffair Heights, Fontana Towers, Amfa Tower, Saray Tower, and many other. These buildings offer a wide set of properties for rent in Juffair attached with an extended set of amenities to cater full convenience to tenants, the amenities include swimming pools, saunas, steam baths, security system active all day round, private car parking areas, and many other. Some buildings have retail spaces also featuring several services like laundries, supermarkets, hair salons, and groceries to offer residents all needed facilities for a perfect living experience. Rental prices of Juffair properties start from BHD 300 per month for studios and BHD 450 for two bedroom apartments. Weetas has a large selection of properties for rent in Juffair added by well versed real estate consultants who enjoy an extended experience in the district’s property market. The property lists are clear to offer simple and easy search process to customers. Only a couple of steps and you will find a property to rent, just browse the lists, check the displayed images and specs of each property, and make up your mind.